Star Trek: Discovery Recap: My Large Adult Klingon SonWe’re really gonna double down on the time crystal thing, then? Star Trek: Discovery Reinventing the Borg Would Be Its Smartest Choice YetWhat looks to be a slowly revealed origin story for one of Trek’s most infamous villains feels purposeful, subtle, and positively inspired. 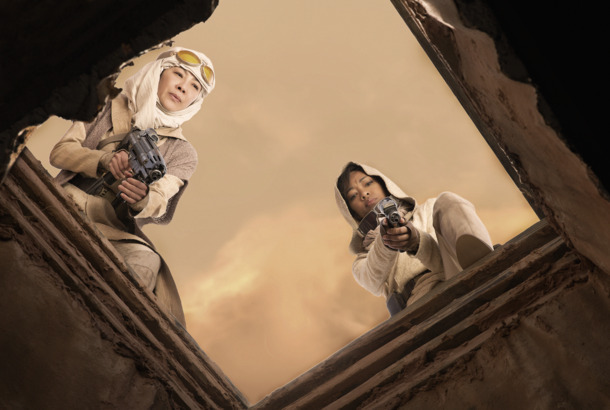 Star Trek: Discovery Recap: MousetrapIf The Red Angel must be caught, and it only appears when Burnham’s life is endangered … well, you see where this is going. Star Trek: Discovery Recap: I, Robot(ically Augmented)Three cheers for cybernetics? Star Trek: Discovery Recap: Through the Looking CageA bold dip into original series canon goes a long way toward justifying bringing Spock and Pike into the Disco fold. Star Trek: Discovery Recap: Lost, in SpaceMichael finds her brother, Amanda Grayson gets complicated, and a slash ship is born. If only the episode stopped there. Star Trek: Discovery Recap: Red Angel Ex MachinaIn the best episode of the series to date, Discovery meets — and immediately deconstructs — a new foe species. Star Trek: Discovery Recap: Into the Spore-VerseThe crew makes an insane gambit to get back a single ensign, and wins a delightful, if scientifically dubious, resurrection for its trouble. Star Trek: Discovery Recap: Witness Me, Bloodbags!The biggest dorks in Starfleet go into full-on geek mode as they rush to solve a fistful of mysteries. Star Trek: Discovery Recap: Mother!Parasites, angels, logic extremists, secret love children — everybody’s gettin’ haunted this week. 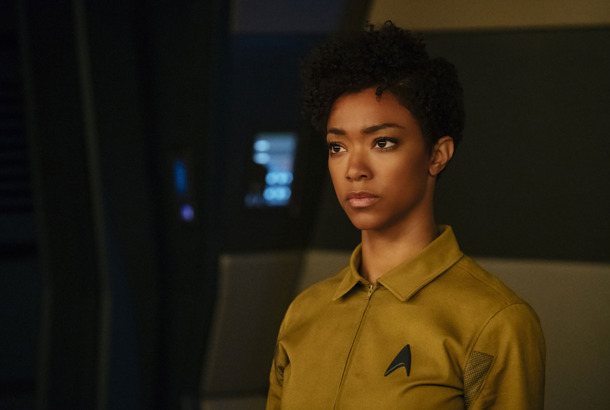 Star Trek: Discovery Recap: The Mothman PropheciesAn overstuffed episode moves at a breakneck pace between narratively convenient coincidences. Star Trek: Discovery Season Premiere Recap: Where’s My Damned Red Thing?Captain Pike isn’t a regular stepdad; he’s a cool stepdad. Why Star Trek: Discovery’s New Showrunner Made Big Changes in Season TwoBald Klingons are out, and Twilight Zone–inspired story lines are in. Star Trek: Discovery Season Two Is More Typical and Less InterestingTurning Discovery into the Trek version of Guardians of the Galaxy isn’t the solution. 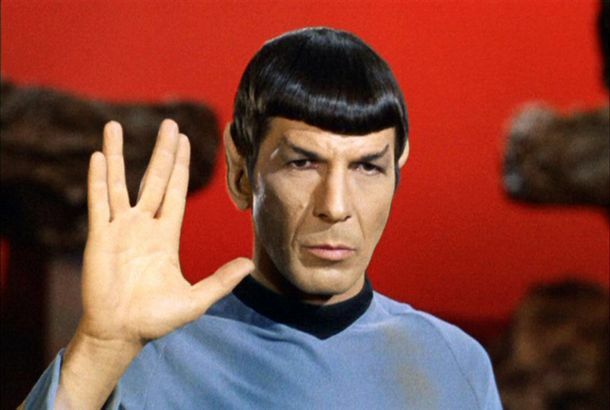 Star Trek: Discovery Season 2 Trailer: Give the Vulcan Salute to Grunge SpockThat beard! Hollywood Chrises Might Not Be Getting Enough Millions to Stick With Star TrekPine and Hemsworth are reportedly at odds with Paramount over compensation. Patrick Stewart Will Return as Captain Jean-Luc Picard in New Star Trek ShowThe series will debut on CBS All Access, which is also home to Star Trek: Discovery. S.J. Clarkson Will Reportedly Be the First Woman to Direct a Star Trek MovieParamount is placing the Enterprise in her hands. Why Star Trek: Discovery Needs to EvolveBeneath its superficially progressive appearance, Star Trek: Discovery remains too wedded to the past. Star Trek: Discovery Just Pulled Off an Incredibly Good First SeasonThis show could be one of the all-time Star Trek greats. Star Trek’s Shazad Latif on Lieutenant Ash Tyler’s Vulnerability and That TwistAsh Tyler is an intriguing entry in the representation of male victims of sexual assault in pop culture. Star Trek Discovery Recap: Why Do the Agony Booths Even Open?The Lorca stuff is a mess, but there’s still plenty to enjoy here. The Best Episodes of Star Trek: Deep Space Nine, RankedCelebrating the best series in the franchise on its 25th anniversary. Quentin Tarantino to Make Most Intense Star Trek Ever With The Revenant WriterMark L. Smith is going to boldly go where no Star Trek writer has gone before — seriously. Quentin Tarantino’s Star Trek Is Really Happening, and Will Be Rated RThe director is now in search of a screenwriter. After Manson Film, Quentin Tarantino Is Reportedly Developing a Star Trek MovieIn space, no one can hear you read that headline and gasp out loud. Star Trek: Discovery Recap: One Last JobIf you’re planting covert sensors on an enemy ship, maybe try making them quieter. Star Trek: Discovery Recap: You Broke a Perfectly Good SaruEvery little blissed-out thing Saru does in this episode makes me extremely happy. Star Trek Discovery Recap: Be Seeing You“Magic to Make the Sanest Man Go Mad” feels both prescient and poignant. Star Trek Discovery Recap: Excuse Me, You’re Standing On My KatraSomething is off about this Ash Tyler guy. Star Trek: Discovery Renewed for Season TwoSeason one will continue to air on CBS All Access in two chapters. Star Trek: Discovery Recap: My Threat Ganglia Remain UnconvincedKlingon rom-com dialogue is amazing. Where Do Michael and Her Mutiny Fit Into Star Trek History?It can’t be properly understood without looking at the ways these topics have threaded through Star Trek in the 1990s. Star Trek: Discovery Recap: You Can’t Sit With UsSonequa Martin-Green is captivating, charming, and heartbreakingly winsome. 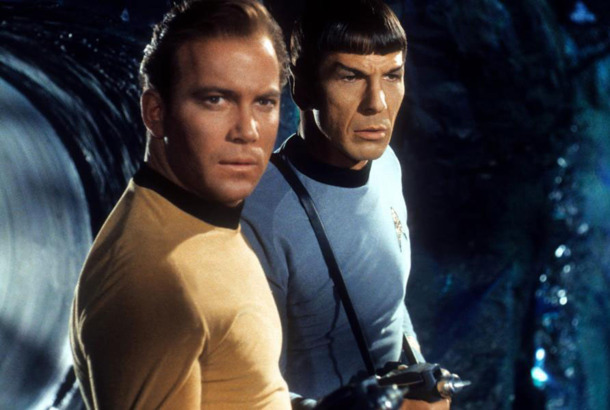 Star Trek Spec Scripts That Never Saw the Light of DayStar Trek had a famous open-submission policy, meaning any writer, anywhere, could submit a script. Star Trek: Discovery Recap: Belay That PremiseEverything goes pear-shaped for the USS Shenzhou and her crew. A Beginner’s Guide to the Star Trek UniverseStar Trek can seem labyrinthine and too dense for new fans to find their way in. But it’s very well worth the time. Star Trek: Discovery Series Premiere Recap: Get Back in the Antiproton Chamber!Wherever we’re going, I’m just happy to be watching Star Trek. Star Trek: Discovery Is a Stirring, Rare Work of Science FictionIt stands tall alongside the best-regarded incarnations of the Trek franchise even as it raids elements from all of them. Star Trek: Discovery’s Opening Credits Look Like It Was Sketched by MichelangeloMay these images live long and prosper.